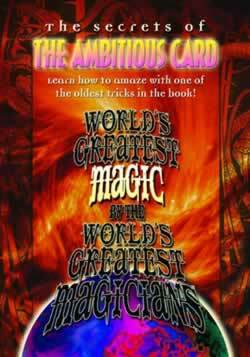 Martin Lewis devised and produced the classic “Cardiographic” and the effect has found its way into many performing magician’s repertoires. Imagine this as a closeup miracle. 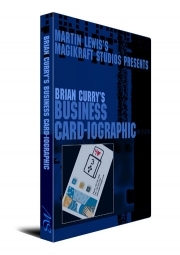 Brian Curry worked with Martin to produce this pocket-sized miracle. You show an image of a deck, drawn on your business card. Slowly, and in full view, a drawing of a selected card rises from it. You then give it away as a souvenir. Business Card-iographic is a stunning promotional giveaway, that your customer will keep for years. 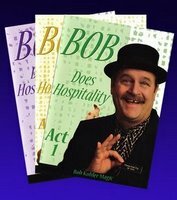 The instructional DVD comes with Brian’s routine, which incorporates ideas from Joel Givens, Bob Sheets and David Oliver. Also Martin Lewis teaches his “Wino-graphic” routine, in which a drawing of a wineglass magically fills with the spectators choice of beverage. Although the Out to Dinner clip is not required, it makes a great addition. 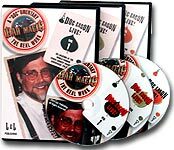 Buy it along with this DVD for a package deal of $40. Check out the special deal listing.